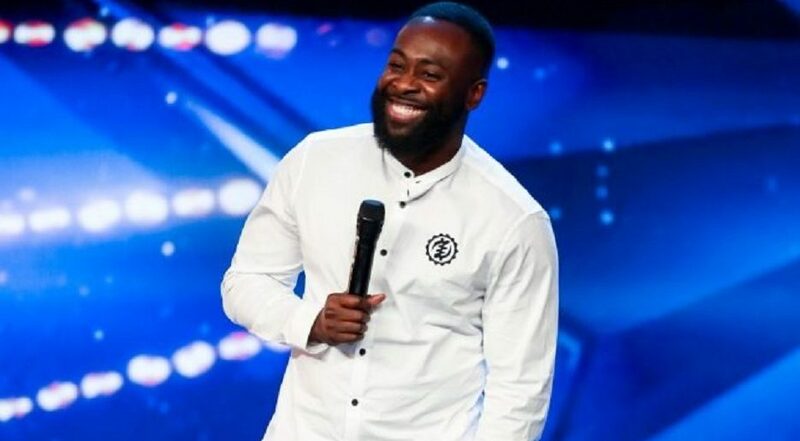 Ghanaian-British comedian, Kojo Anim’s performance during his audition on Britain’s Got Talent earned him the coveted ‘Golden Buzzer’ from judge Simon Cowell. The buzzer propels him into the semi-finals of the 2019 edition of the talent hunt show. Anim’s performance was about his African heritage, black taxi fares and dealing with bank tellers. ‘Emotional! My career flew in front of my eyes. It was a huge risk, I was afraid of being judged,” stated Anim to MailOnline about Cowell’s reaction. He also shared how he was feeling before he went on stage. “Before my audition I was anxious, it’s a massive show. But I love performing live. I don’t want to just put my comedy routines up online – I want to be on stage. BGT gives me the opportunity to do what I do to a wide audience. And I am a dad now, I want to provide for my son and give him the best opportunities in life,” expressed Anim. Anim was born in Ghana, and moved to London at a young age. He presented CBBC show The Mighty Truck Of Stuff alongside Reggie Yates in 2005. He was the host of the show Kojo’s Comedy Funhouse on MTV Base and was a panellist on BBC 3 show Free Speech. Mogul Russell Simmons sought him out to host the first Def Comedy Jam UK Tour. Anim once had a starring role in Noel Clarke’s 2012 production The Knot. He also hosted the breakfast show on Capital Xtra between 2010 and 2014. He has opened for the likes of Chris Rock, Kevin Hart at Wembley Arena and Dave Chappelle at the Royal Albert Hall.